Roadster was the first electric car from Tesla Motors and it was sold in 2008-2012. It was also the “first highway legal serial production all-electric car to use lithium-ion battery cells and the first production all-electric car to travel more than 320 km”. Tesla sold about 2,450 Roadsters during the production time and all of them had a 55kWh 450 kg 11S 9S 69P batterypacks with 6831 18650 cell. The cells used in the Roadster is most likely Panasonic CGR18650 with 2250mah per cell making it a 55,3kWh batterypack. Tesla said in February 2009 that the batterypack had an expected life span of 7 years/160,000 km. They also said the pack would retain 70% capacity after 5 years and 80,000 km. A July 2013 study found that after 160,000 km the Roadster batteries still had 80%–85% capacity left. That sounds like a lot but remember that the Roadster can travel 320 km per charge so 80000 km is only 250 cycles! 160000 km is only 500 cycles. Manufacturers test the cells for usually up to 500 cycles and this if for CGR18650CD version december 2008. 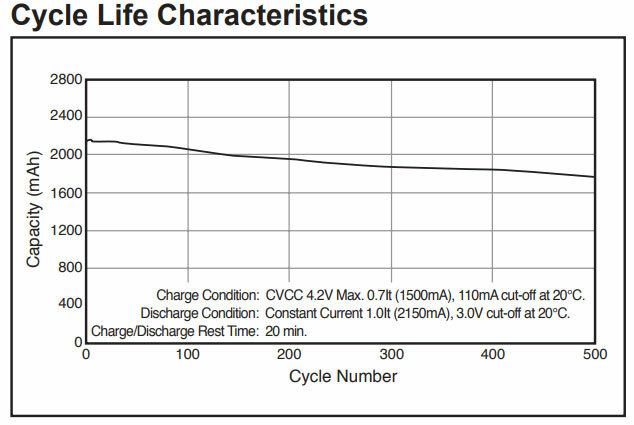 Its still 90% of the capacity left after about 250 cycles and ca 83% after 500 cycles so the study compares pretty well with the cycle life from the datasheet. So there is nothing magically about the Tesla Roadster battery pack. 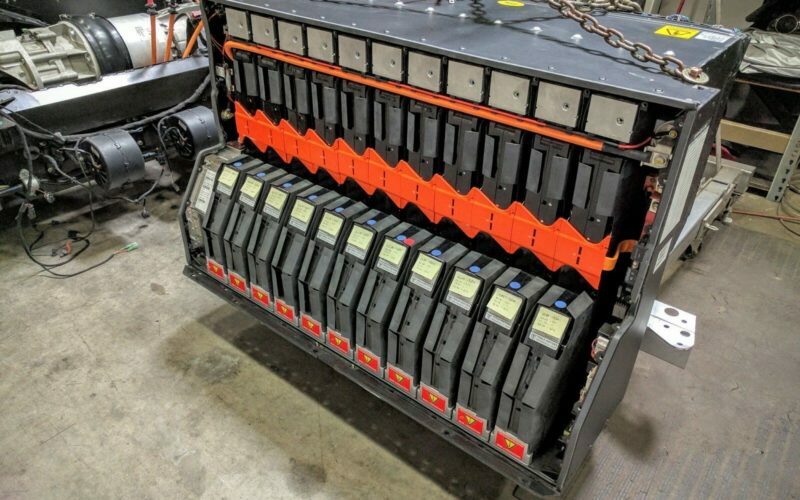 It does not even look like they limited the DOD or had the advanced cooling system from the model S. They just build a battery large enough and that about it. The Model S/X batterypack however gets more complicated. There are about 6 versions of this pack and they are in a small and large version. *NCR18650BF and NCR18650BJ are 3350mah an developed for cold temp. **Was released by panasonic in 2014 but quickly disappeared as if it had never existed. Most likely Tesla bought the whole production line. 40 kWh pack (2012 –2013) is 60 kWh pack software limited to 40 kWh. 60 kWh v2 (June 2016 and after) is 75 kWh pack software limited to 60kWh. Panasonic has not yet released a similar cells probably due to Tesla needing them all. NCR20700B is the closest commercial version with 4250mAh being produced by Sanyo at the moment. Once the gigafactory is complete panasonic will most likely release high capacity cells from they japanease factories. It will most likely be called NCR20700D. What is a citycoco (城市可可)? What happened to battery bro?